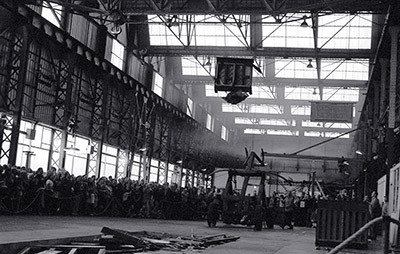 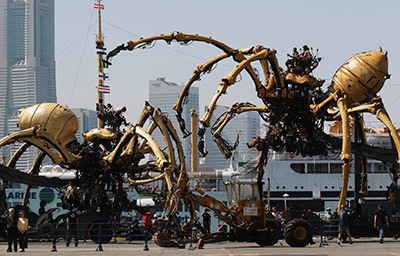 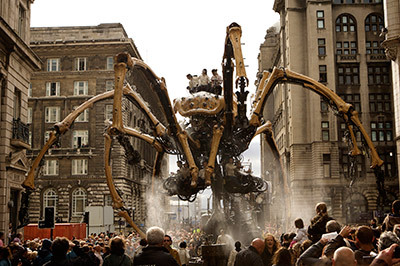 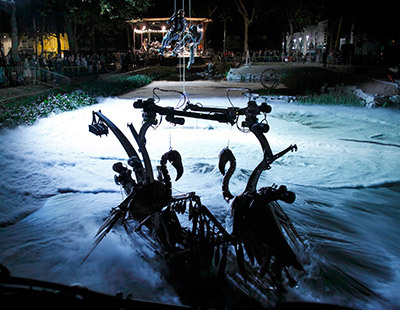 AT THE HEART OF LA MACHINE’S ARTISTIC approach, MOVEMENT IS read AS A LANGUAge, as a source of emotion. 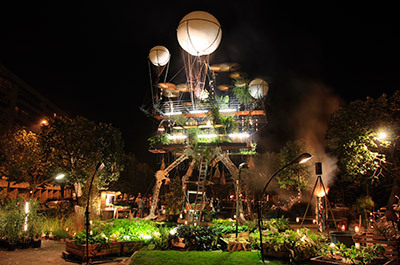 THROUGH each of these LIVING ARCHITECTUREs, THE IDEA IS TO DREAM OF TOMORROW’S CITIES, AND thanks to this, TRansform THE WAY we look at our towns. 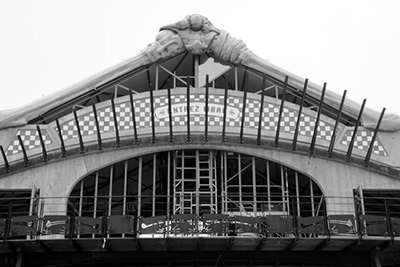 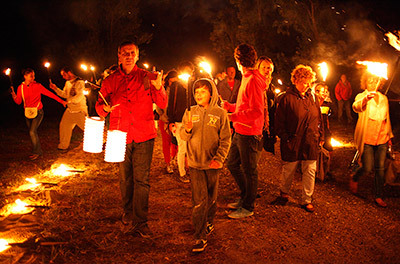 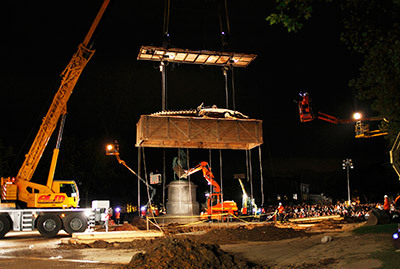 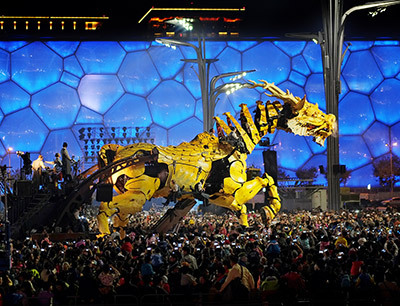 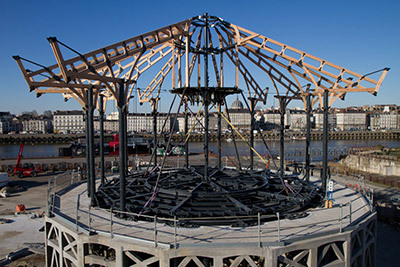 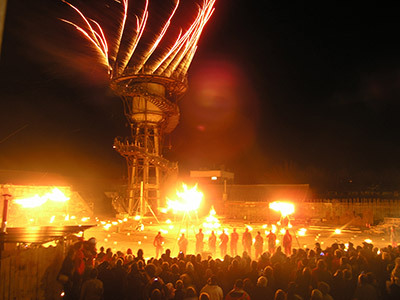 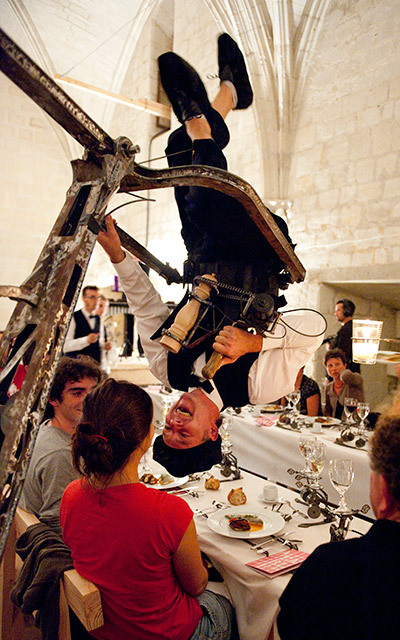 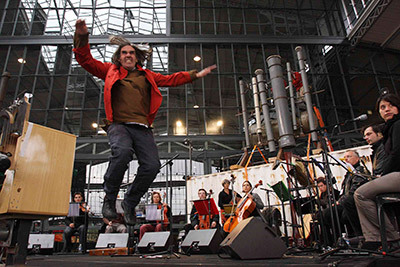 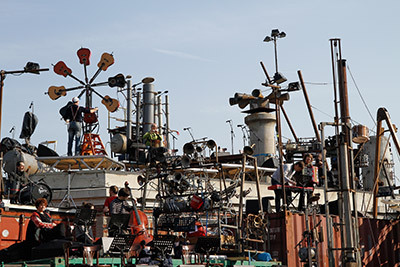 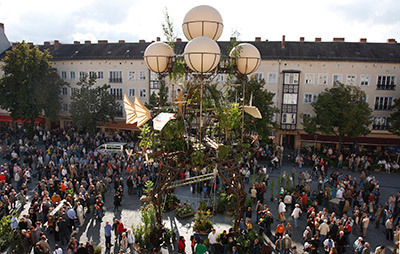 The company, led by François Delarozière, came about thanks to artists, technicians and theatre designers working together for the construction of unusual theatre objects. 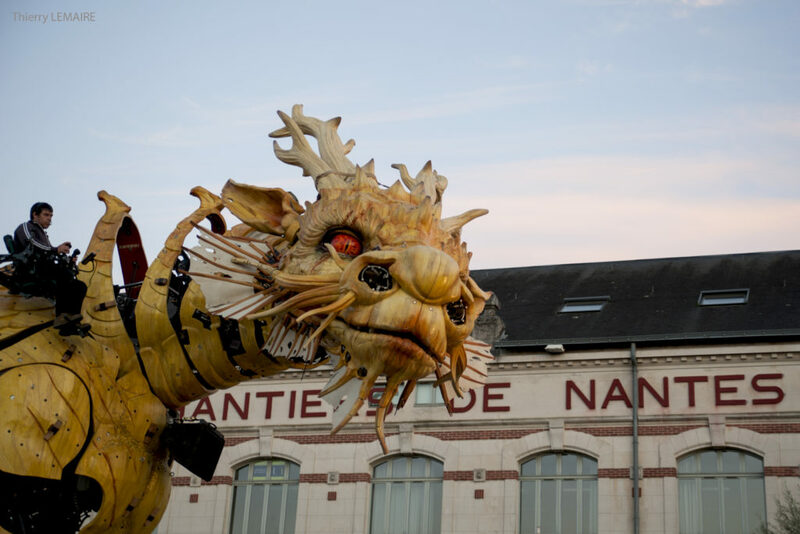 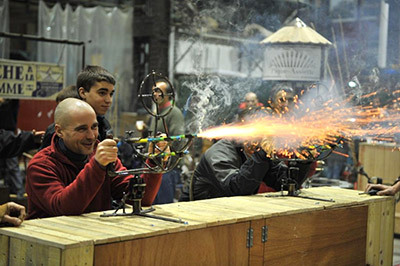 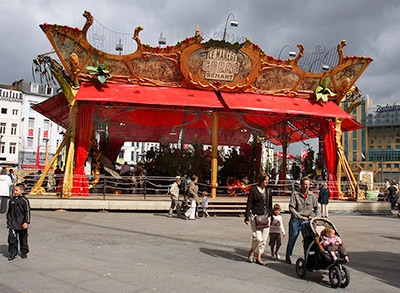 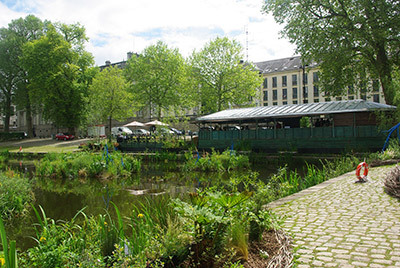 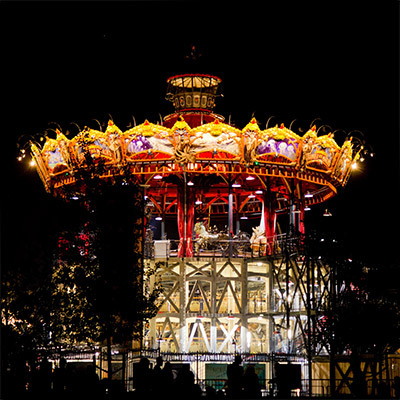 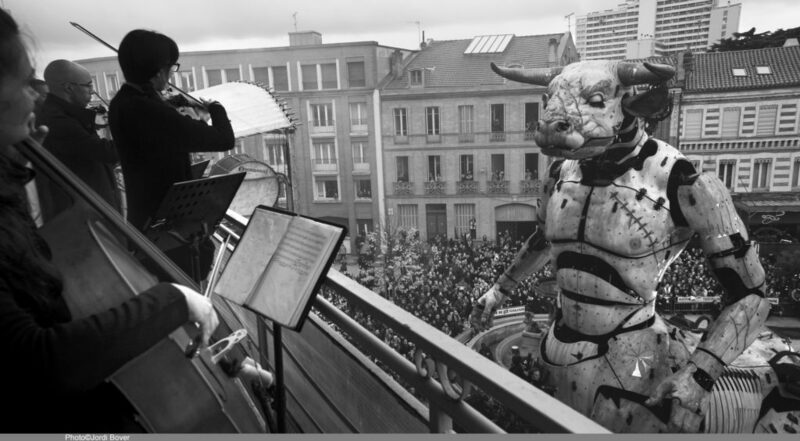 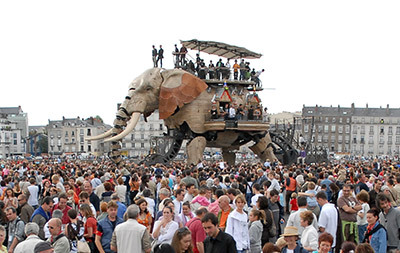 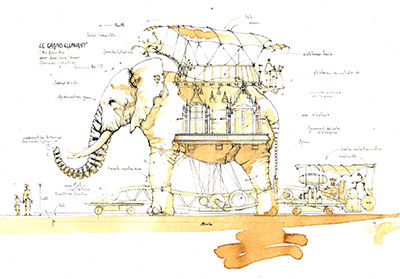 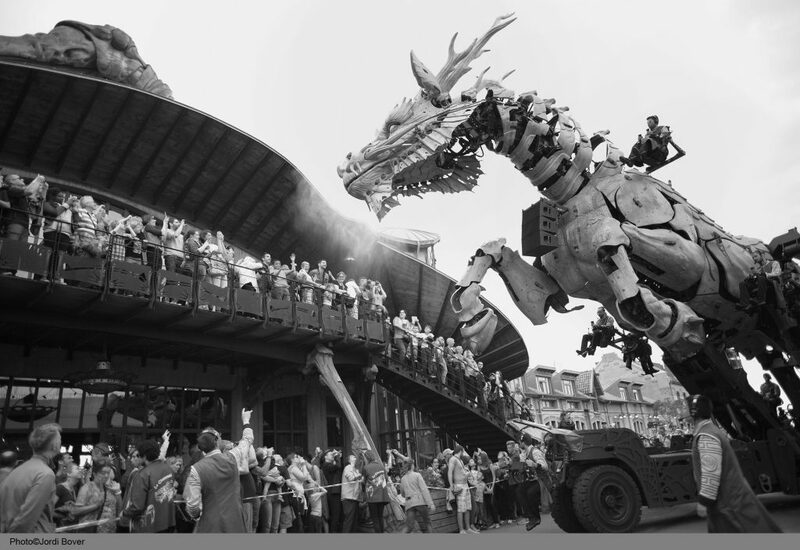 To bring its creations to life, La Machine has set up two workshops, one in Nantes and one in Tournefeuille. 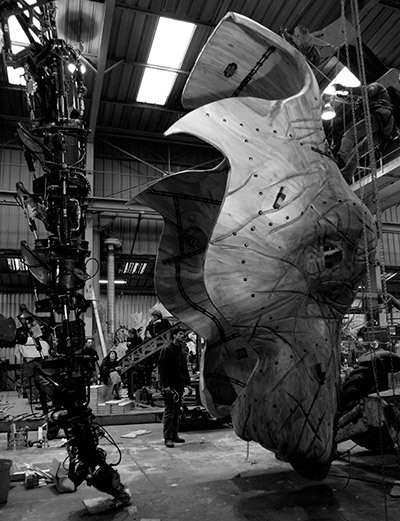 They are home of many different trades and crafts from theatre and the arts, to industry and advanced technology. 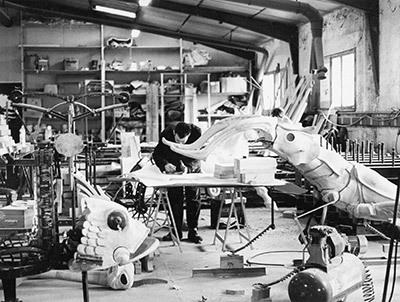 People and their skills are the very essence of the creative process. 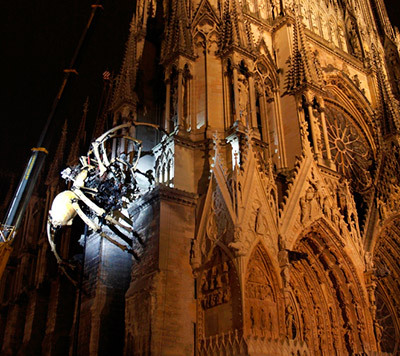 The Spirit of the Dragon – Horse with the spider Kumo et Long Ma. 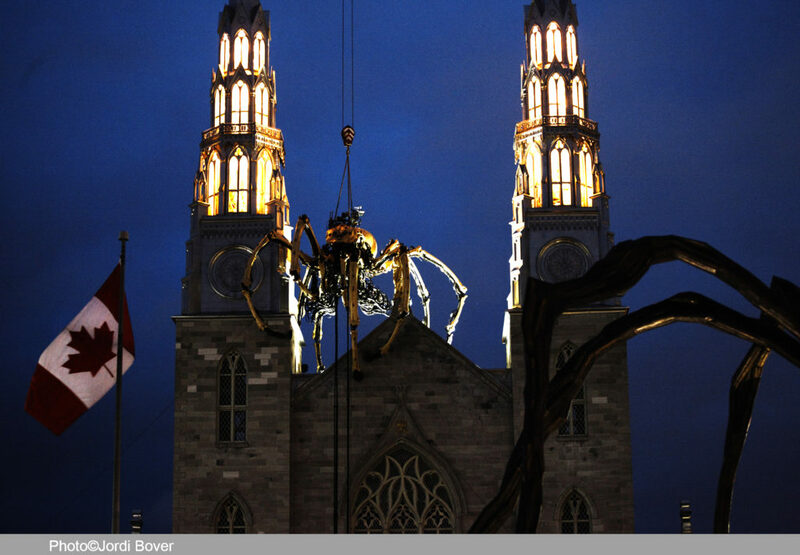 Long Ma and Kumo across the Atlantic Ocean and perform in Ottawa for the 150th anniversary of Canadian confederation.